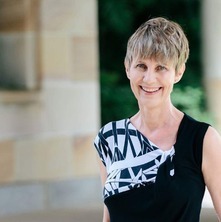 Martie-Louise Verreynne is a Professor in Innovation and Interim Academic Dean and Head of the UQ Business School. Her research in innovation, particularly open innovation, focuses on how small firms leverage capabilities and networks to gain a competitive edge. Martie-Louise is a regular contributor to leading small business, entrepreneurship, strategy and interdisciplinary journals and serves as Associate Editor to the Journal of Small Business Management. She currently holds ARC Discovery and ITTC grants. Martie-Louise is a recipient of the prestigious Australian Learning and Teaching Council citation for contribution to student learning based on her work in the area of commercialisation of high-tech start-ups and leads the development of the MicroMasters in Corporate Innovation, delivered through EdX. She actively works with industry to create research impact and has received several awards in recognition of this work. What creates advantage in the "social era"? Entrepreneurship education: How socially focused should we be? Open innovation in Australian small firms: When should we collaborate? The reality of strategy-making in small firms - A barrier to entrepreneurship? Strategic entrepreneurship: Intersection of fields or distinct organisational process? Strategic Entrepreneurship in the Public Sector: Fact or Farce? What is a world class SME? Higher education entrepreneurship: Exploring the roles of university, government, industry and the potential role of research commercialisation office in the transition towards their integration and hybridization.